Not so long ago Apple released its new iOS 6.1 update to sort a few issues out, but one that needs addressing is the battery problem occurring after the AOL Exchange server glitch, as well as the Exchange Calendar bug. The good news is Apple is on the ball and the new update is imminent. Apple is addressing this issue and over on its support page they talk a little about the Excess Exchange activity after accepting an exception to recurring calendar event. iOS devices are experiencing a massive overload on Exchange servers after devices were updated to iOS 6.1, but there is good news because a fix is on its way. Apple has identified the fix and this will be available in an upcoming software update, it is not too late to avoid the bug and this can be done with a few simple steps. If you are having problems disable then re-enable the Exchange calendar, to do this just Go to Settings > Mail, Contacts, Calendars, once you have done this select the Exchange account from your Accounts list and then turn the switch for Calendars to OFF — Now just wait for about 10 seconds and then turn the switch for Calendars back to ON. If you are having problems try the above and let us know how you get on, remember a new update will be coming soon, thank you. 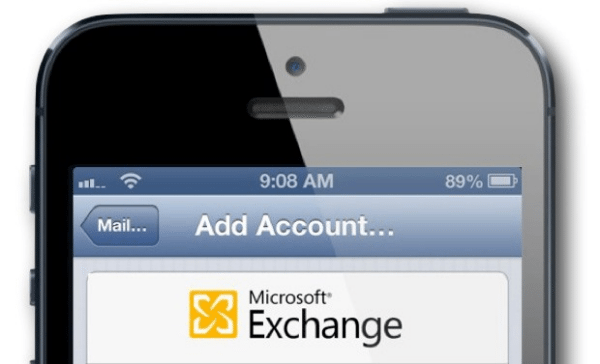 If you look at this document Microsoft talks about the rapid growth in transaction logs, memory consumption and CPU use in Exchange Server 2010 when users sync a mailbox by using an iDevice running iOS 6.1.